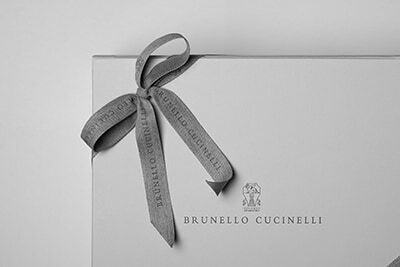 The iconic yarn of the Brunello Cucinelli collections enriches the Travelwear line, dedicated to moments of relaxation and free time. The new cardigan combines a soft cashmere exterior with the lightweight taffeta reversible interior, a fabric with a sporty and technical look. Lightweight Thermore® padding guarantees the proper amount of protection and allows the cardigan to be worn as outerwear. The hood and drawstring details complete the garment. 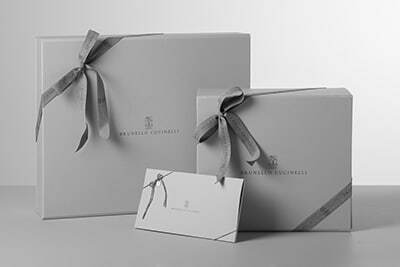 Two-ply manufacturing of the cashmere brings out the refined qualities of the natural fiber and makes the yarn lightweight and extremely soft. The interior is detailed in lightweight taffeta, a fabric that combines cotton thread with synthetic fiber to give the texture a crushed, matte and slightly shimmering look: the fabric is enriched with thin Thermore® padding, a high-quality technical material that insures a balanced weight without compromising proper protection.